Media Release 5 May 2014 – The Onthehouse Group today announced a consolidation of its range of real estate software products under its Console brand, and unveiled a host of complementary upgrades and product bundles for property agents. The move will bring together Console’s existing product suite, and group GatewayLive, LiveAgent, and OnlineAgent with software solutions such as WebChoice, MobileAgent and ClientManager – which were previously offered under the PortPlus brand. In addition, the subscriptions to all of these software solutions will now be supplemented by enhanced access to research from the Group’s property research and data arm – Residex – as well as further integration into the Real Estate Ad Network, which partners with agents to provide additional revenue streams from their website’s traffic. Together, they form the most comprehensive set of professional tools and software services for real estate agents in the market – and serve approximately 50% of Australian residential property agencies. A new site, www.console.com.au, has also been launched today with further information for agents about the updated services and bundled product offers. As part of the new approach, the Onthehouse Group has invested heavily to boost its customer helpdesk teams, training consultants and technical implementations teams. The communications infrastructure for its helplines is also being upgraded, so that real estate agents can find the support they need. Onthehouse will maintain and grow its Australian-based support teams, centered in the Group’s Brisbane and Melbourne offices. CEO of Onthehouse Group Michael Fredericks said that the move was designed to help real estate agents make better use of technology, coupled with content, to grow their business. “We are investing heavily into the Group’s Real Estate Services Division to consolidate our software products so that they can open up new possibilities for real estate agents. We want to offer tools that really help agents, from making life easier in their back office right through to helping them prospect and connect with future clients,” he said. 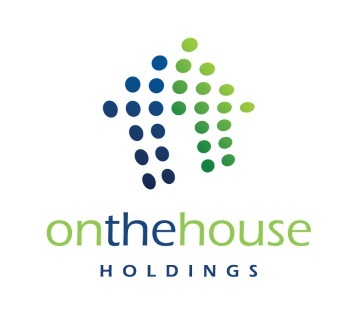 The Onthehouse Group also includes three other brands: Residex, the property data and research arm; the Real Estate Ad Network (REAN), a media company that connects advertisers to property consumers and helps real estate agents to monetize their online and mobile presence; and Onthehouse.com.au, Australia’s leading provider of sales data to the Australian public and third most popular consumer real estate portal. Onthehouse.com.au is the only consumer site that offers free data and information on over 98% (13.5 million) of properties in Australia. With over 1.4 million UVs and over 3 million property reports downloaded every month, onthehouse.com.au is primarily used by vendors researching their own properties in preparation for sale. Mr Fredericks added, “By amalgamating our products under the Console brand, and combing them with the benefits from Residex, and the added-value services from both REAN and onthehouse.com.au, we are signalling a renewed focus on partnering with our clients to develop the most complete set of services for the real estate industry.” The brand consolidation is part of Onthehouse’s continued drive to partner with the real estate industry. Another significant part of this outreach is AdMe, which launched in December 2013. AdMe is a click-and-play solution that partners with real estate agents to monetise their web traffic and eNewsletters by displaying banner advertisements. The Real Estate Ad Network sells the ads and the agents directly benefit from 70% of the revenues generated. – ENDS – Media contacts Ashford Pritchard: E ashford@launchgroup.com.au ashford@launchgroup.com.au> / T 02 9492 1040 / M 0411 020 680 Laura Douglas: E laura@launchgroup.com laura@launchgroup.com> / T 02 9492 1000 / M 0452 505 859 About Onthehouse Group Onthehouse Holdings (ASX: OTH) is an ASX listed Australian online real estate content and service platform headquartered in Brisbane. The business divisions operated by the Company consist of: The Consumer Online division provides a platform of publicly available real estate websites underpinned by the www.onthehouse.com.au website, providing free access to an extensive database of real estate content and property values on most properties in Australia, including traditional real estate online classified listings. The website is comparable to successful offerings in the US (Zillow) and UK (Zoopla) and has very quickly become the third largest online real estate platform in Australia, currently attracting more than 1.5 million unique browsers per month. The Real Estate Solutions Division providers tools for real estate agents, other property professionals and financial institutions. It provides and integrated platform for office administration, property sales and management applications, online advertising solutions and other business performance tools for real estate agents and data and valuation related services for financial institutions using Onthehouse’s extensive database.